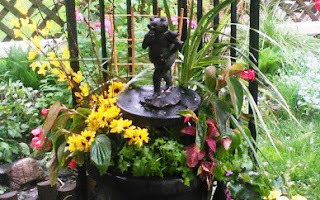 City of Toronto : Gardening Services Company seeking to educate about gardening and about navigating life from the perspective of the owner. Please follow the link to the PDF file showing the Essential Gardening Tools. Addiction if a family disease. Addiction afflicts some of our families, the majority of people live without being affected by drug addictions and alcoholism. It's a horrible struggle for some of us. We try so hard to help the alcoholic or the addicted individual. Sometimes the irresponsible behaviour of the individual is difficult to deal with. It's a sickness alcoholism and drug addiction. Some call it a disease. It's a difficult disease because for those of us who are not addicted we don't actually know the struggle from their perspective. I do know its about feelings. Never had learned how to express feelings and deal with difficulties in life and having had at the wrong time picked up a drink or a pill. Sometimes the pharmaceutical companies prescribe drugs.. and people become addicted. Either way it devistates the family more than the addict because we are the people who don't drink to squash the feelings of anger, sadness, rage and guilt. We do everything we can to get the person to change, to see things our way. Ultimately it's the individuals right to decide what they wish to do. As long as the drug has them in their grips and as long as they are able to continue using without suffering the consequences of not living up to their responsibilities they will continue. My choice now being clear minded. My choice being the person who's not on drugs and who can feel the pain of the devastation that drugs have upon the family. The banging on the window in the middle of the night to come in from the cold, the mental and sometimes physical abuse the follows drug addicts and alcoholics due the changes these chemicals have on their brains. The call from the hospital that they have been found unconscious and bleeding. they are entering an MIR to see the extent of the damage. The manipulation that I must have been a bad parent, I must have done something wrong. The apple doesn't fall far from the tree. My struggles have been 10 years in the making to right the way of another individual. In the process I've lost my life my own financial freedom, security and safety net. I've lived under stress and constant drama created by another. They are young they will snap out of it.. etc... 24 years is not longer young,, but rather a young person. 1/4 through life already. 4. Assault charges due to domestic assaults... poor partner choices, health gets healthy, unhealthy get unhealthy. Trying to help an addict is like cutting grass. I can keep cutting the grass (trying to get behaviour to stop) and it just keeps coming back because I continue to fertilize it. How do I fertilize it? Enabling. Enabling: Is not helping. help is doing something for someone who can't do it for themselves. Enabling prevents the alcoholic or addict from suffering the consequences of their situation. It also prevents us from living life. The life we deserve to live free from drama, or at least only the drama we might bring about for ourselves and not due to another s actions. I can't stand the pain I feel watching my loved one kill themselves with drugs. It could be a lifetime of substance abuse or a year of substance abuse I have a Chrystal ball, and some addicts do die. That's a fact. It happens all the time. Some addicts obtain recovery. We can't force them to seek help. I can stop fertilizing the grass and in turn have energy to look after my own responsibilities. 2. I can worry when they are out on the street, or not if they find a place to lay their head. My nephew, it's important to make sure our relatives have regular checkups with the doctor. When you notice something has changed. so many people don't feel well and they put off seeing a doctor and in some cases even talking about it. My nephew had moved out to Province and had been working in Manitoba. 32 years old young lad with great health. Working out at the gym twice a day. Eating healthy working each day. He's rod buster. Hard laborious job....despite this he loves it. They build condo's, commercial builds.. etc. These are the hero's the guys in the cold weather. slugging away despite the cold temperatures and cold wind. Daniel had a lump in the side of his neck that seemed to grow and than disappear. He wasn't alarmed by it brushed it off to de-hydration or a small infection. His mother when he came visit in Ontario was highly concerned and stressed he visit a doctor. Upon his returns he was diagnosed with Sarcarcinoma stage 4 of the head and neck. The specific diagnosis I"m not sure of. Wow.. talk about a slap in the ........ who would have ever thought. We are a healthy family. How could this happen to us? One of our family members at such a young age? He began aggressive radiation and chemotherapy treatment. Of course initially he researched alternative treatments but settled with what's know to work, and who wouldn't. We know it kills healthy cells but it's a chance to survive. Everyone wants to live when it really comes down to it. He's done the treatment which has left him skinny as a rail and most difficult to eat as the inside of his mouth is blistered. His tongue is a giant blister. He's finished the scheduled treatment he was so frail he had to return to Ontario to get health again. He had no choice but to leave his job. He has no intention of claiming Disability. His intention is to get health and return to work. Disability would be a nail in the coffin for him, in his mind. Very important for those of us working for private non-unionized companies to have private health insurance to cover us in-case something does come upon us. I have set up a gofund fundraiser for my nephew...for his return home. It's enough to get him back in his apartment and a few month worth of expenses while his health returns. If you wish to donate great.. the biggest message here is not to help Daniel but to let your young family members know it's important for them to seek medical treatment when something doesn't seem right. Don't wait. Had Daniel waited a few more months his prognosis would have been a life sentence 2 to 5 years, even at his young age. Here is a link to the fundraiser.... please read the update about his treatment at a world renowned airport, Pearson Airport.. Not okay... enjoy the day. Sending you love to your family. Upcoming event hosted by Toronto Botanical garden. Frank Kershaw is the host of the tour. 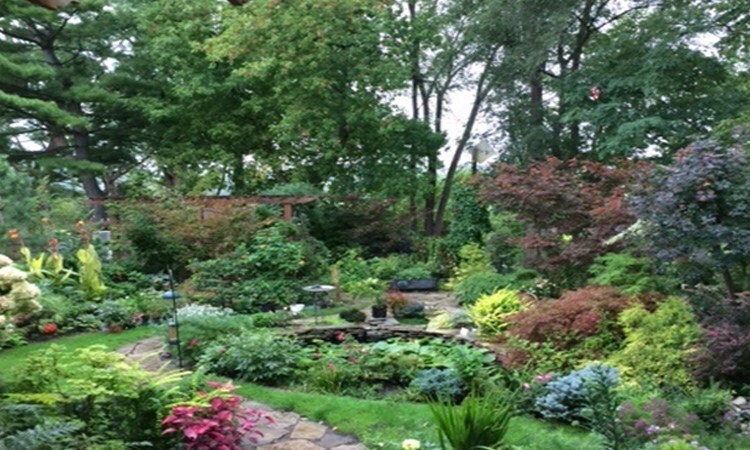 You'll spend the day touring Private gardens in the City of Toronto. These gardens will leave you with ideas and solutions to your own garden design fantasies. This includes a lunch at a Canadian Restaurant. These are multiple award winning gardens. The date is: May 25th, 2017 at a cost of $145.00. Please visit the Toronto Botanical Garden Website to register for this event. Spring is a great time to really appreciate the garden in a climate like Toronto where the winter was cold and any new growth is a testament to the coming warmer weather. So many things to do to prepare the garden. 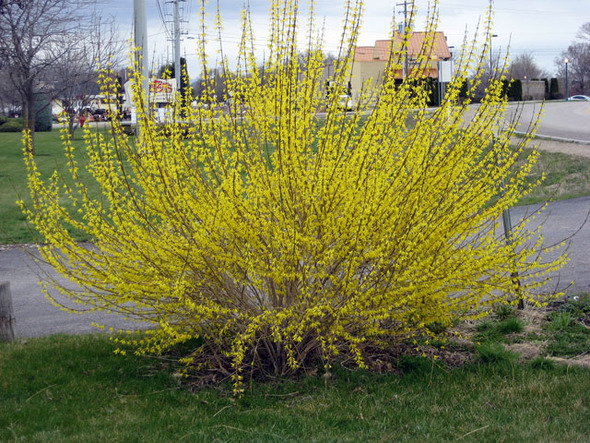 Spring flowering shrubs should not be pruned until after they have bloomed. Most spring flowering shrubs bloom on old wood. If you wait to long after they have bloomed you risk cutting the blooms for the following year. 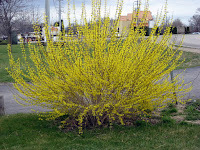 Summer and fall flowering shrubs can be pruned in late winter or very early spring. Great idea to prune your shrubs to maintain their place in the garden. Removal of dead and damaged diseased wood. Removing cross Stems. Pruning forces new growth, better flowers the following year. Most plants have a great look for natural shapes. The process of removing stems at their point of origin is known as thinning, while shortening a stem from the top is known as heading. Technically, shearing is just making a lot of heading cuts. Thinning cuts are preferable because they open the shrub up to sunlight and air circulation. Heading cuts result in a profusion of growth below the cut that creates a wall of growth on the outside of the shrub that blocks sun from the interior of the shrub and impedes air circulation. Even formally sheared hedges should be opened periodically to encourage new growth from inside the plants.